As I said the last week, there will be weekly giveaway... 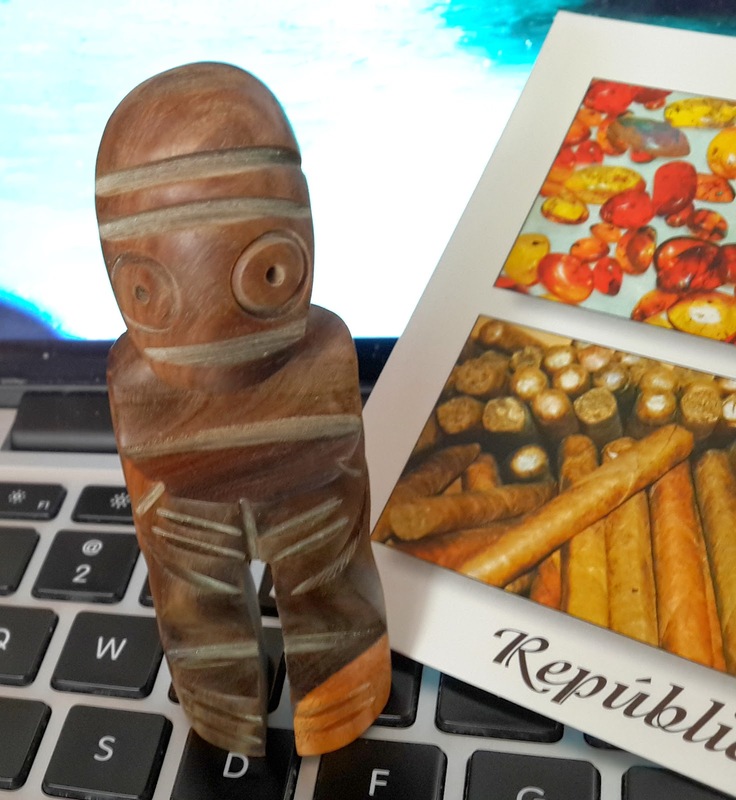 This time the prize is a handmade typical woodcraft figure I got yesterday at a gift shop in the Colonial Zone of Santo Domingo. 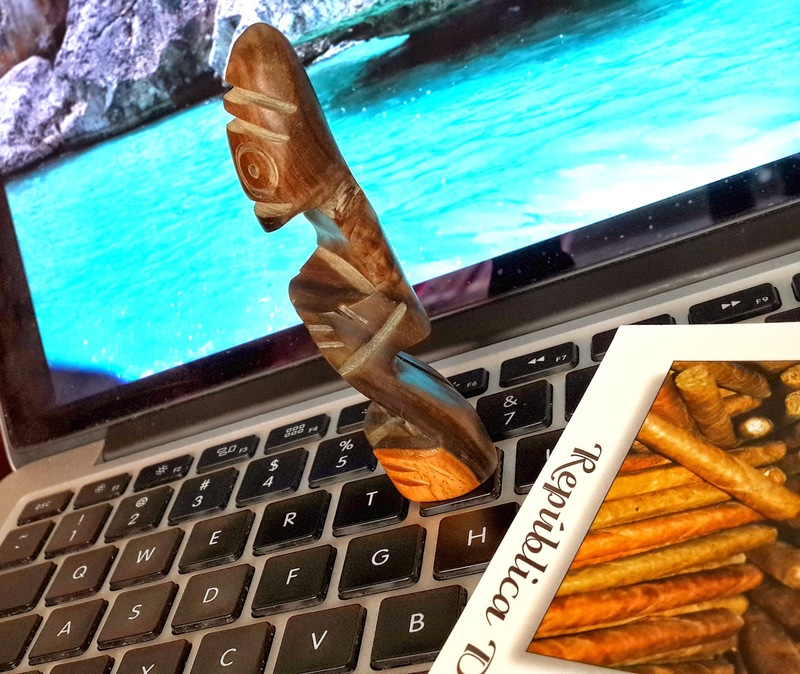 This craft piece is made to resemble the taino art. The Tainos were the native aboriginal indians that lived in La Hispaniola Island. They were all extinguished over the years after the America’s discovery, when the Spanish people took over our island at the end of the 15th Century. 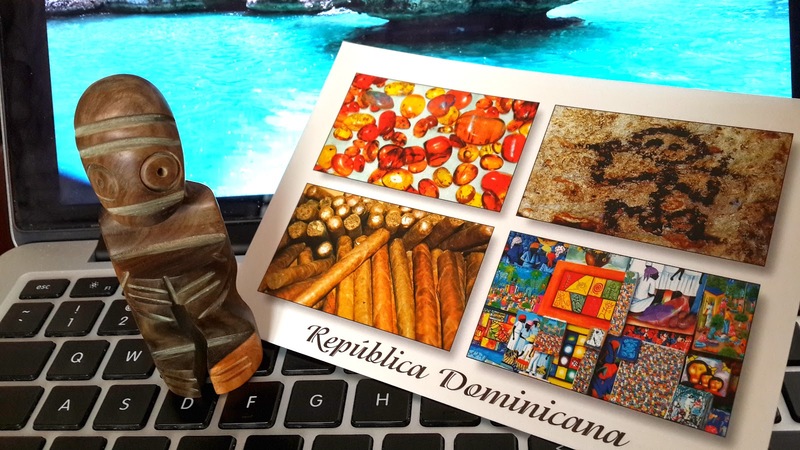 Why is my island called "La Hispaniola"? Click HERE to answer that question in the Facebook Page so you enter the drawing. That's all! Comments in this blog won't be valid. Just the comments in the mentioned FB post question will be valid. There is a right question, but if you answer it wrong, you will have the chance to win anyways. (But try some reading!). Drawing will be closed Friday 21 at 10:00pm AST. Winner will be announced on the blog and contacted throu private message. Craft will be send enveloped along with the postcard.